Rika Hongo jeopardized her chance to make the Grand Prix Final for the second straight year after struggling through a poor free skate at the Cup of Russia in Moscow on Saturday. Hongo was the defending champion in the event and entered the free skate in sixth place after some suspect scoring in the short program. The judges could not be blamed for the final result, however, as Hongo landed her opening triple flip/triple toe loop combination jump in the free skate, but then botched her next two elements (doubling a planned triple salchow and falling on a triple lutz). It was a pity after the fantastic free skate Hongo had two weeks ago at the Cup of China in Beijing where he finished second behind compatriot Mao Asada. The bottom line is that the fifth-place finish in Russia means Hongo will likely miss out on the GP Final next month in Barcelona, Spain. Both of Hongo’s programs are dynamic and her outfits eye-catching. Her presentation skills in the short program to “Incantation” are especially impressive. Ice Time was not the only one who felt this way. “At the beginning there was a little step sequence where she just goes like water and fluid,” said Eurosport analyst Nicky Slater. “The transition, wow, that was amazing. I want to see that again. With the ISU’s decision on Monday to count the Trophee Bompard results after the short program as final and add a seventh skater for the GP Final only if they skated in France, Hongo is in a tough spot. She is fourth in the standings now, but with Mao, Satoko Miyahara and Ashley Wagner all scheduled to compete in the NHK Trophy, Hongo could be left on the outside looking in. 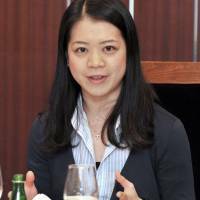 Straight talk: Akiko Suzuki gave a very frank four-part interview last month with Sakae Sasaki on The Yomiuri Shimbun’s health care website (yomiDr.) where she discussed some of the issues facing female athletes, including dealing with menstruation while in training. 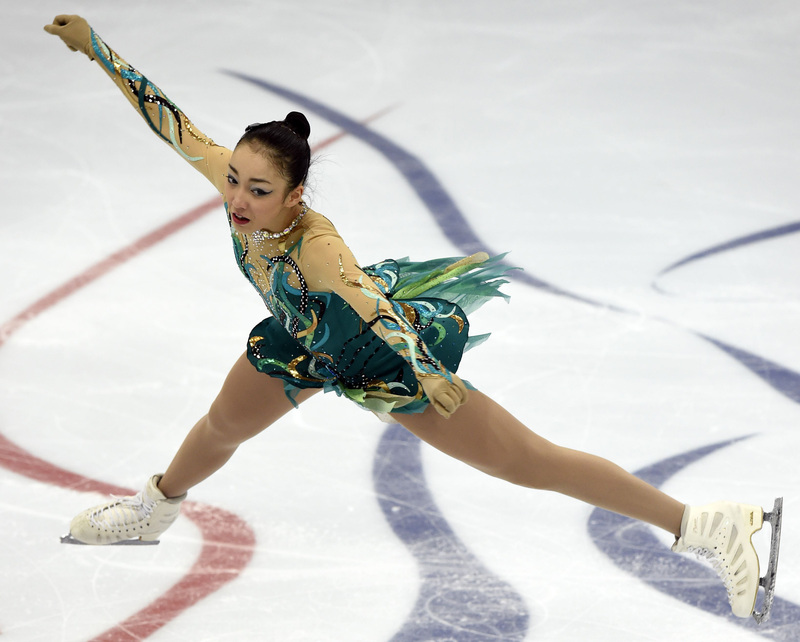 The 30-year-old Suzuki, who has always had a deep connection with her fan base, gave a very honest assessment of the challenges females skaters face with their bodies. It was the kind of direct conversation that we don’t see enough of in this country and was refreshing. An English translation of the interview was posted on Tumblr website tumvue.com by user @ohlovesosweet in which Suzuki also addressed her own battle with anorexia, which caused her to miss the 2003-04 season. The catalyst for the chat appears to be comments Suzuki wrote on her own blog (ameblo.jp/suzuki-akko/) following a workshop at her skating club in Nagoya for female athletes. Suzuki, who was coached by Hiroshi Nagakubo for nearly her entire career, pointed out that men who teach female skaters may not be able to understand what their charges are facing. 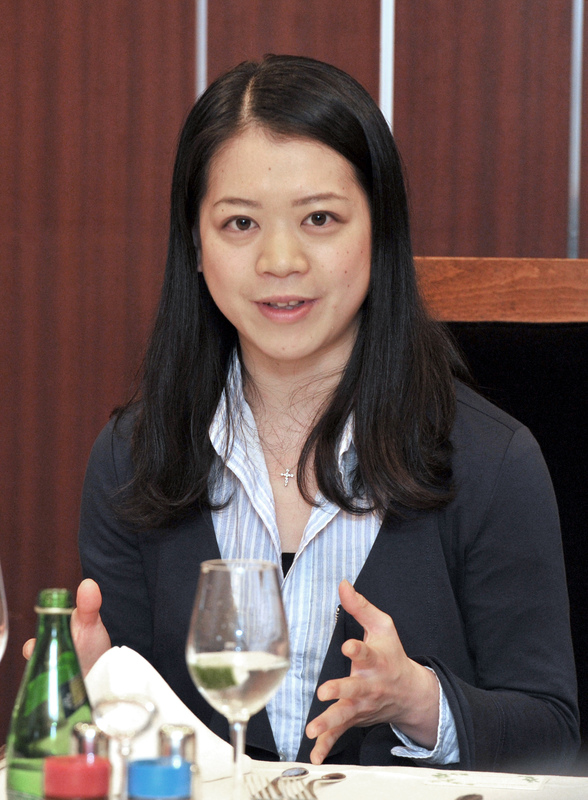 Suzuki, who was Japan’s national champion in the final season of her long career, blamed herself for her battle with anorexia in the interview. “It wasn’t my coaches who were telling me to lose weight. It was my own personal desire to lose weight and to not get fat. I tried too hard to be the perfect weight . . .,” she stated. Anybody who has had the opportunity to deal with Suzuki will tell you that she is an amazing person. I didn’t think my opinion of her could get any higher, but after reading her thoughts on this sensitive subject, it has. Last chance: The NHK Trophy, the final stop of the regular GP series, will be held starting Friday at Big Hat in Nagano with three-time world champion Mao Asada and Olympic champ Yuzuru Hanyu headlining the field. Mao and Hanyu will be looking to lock up berths in the GP Final. Reigning national champion Miyahara is also in the running for a trip to Spain. Mao and Miyahara will be joined in the women’s field by senior debutante Mariko Kihara and American Mirai Nagasu. Kihara, a 17-year-old from Saga, finished eight at last season’s national championships. She then won the Bavarian Open in Germany two months later. The biggest challenger for Mao and Miyahara will likely be American veteran Wagner, who won Skate Canada last month. In addition to Hanyu, the men’s competition will include Takahito Mura and Keiji Tanaka. Hanyu’s primary foe will likely be China’s Jin Boyang, who placed second behind world champion Javier Fernandez at the Cup of China earlier this month. Junior report: Wakaba Higuchi won her second straight Japan Junior Championship on Monday in Hitachinaka, Ibaraki Prefecture. The 14-year-old Higuchi, who was third at the senior nationals last season, topped the podium again with a total score of 189.23. Yuna Shiraiwa, who has qualified for the Junior Grand Prix Final, was second with 184.16, while Yuhana Yokoi took third on 177.40. Marin Honda finished a disappointing sixth at 168.88. Sota Yamamoto won the men’s title with a tally of 213.40. He finished second last year behind world junior champion Shoma Uno. Hawaii Five-O: Kristi Yamaguchi, the gold medalist at the 1992 Albertville Olympics, held two “Golden Moment Hawaii” charity shows at the Blaisdell Center in Honolulu last weekend. The performances benefit Yamaguchi’s Always Dream Foundation. Japan was well represented at the event, with the likes of 2006 Olympic champion Shizuka Arakawa, two-time world champion Miki Ando, 1994 world champion Yuka Sato and six-time national champion Takeshi Honda all taking part.